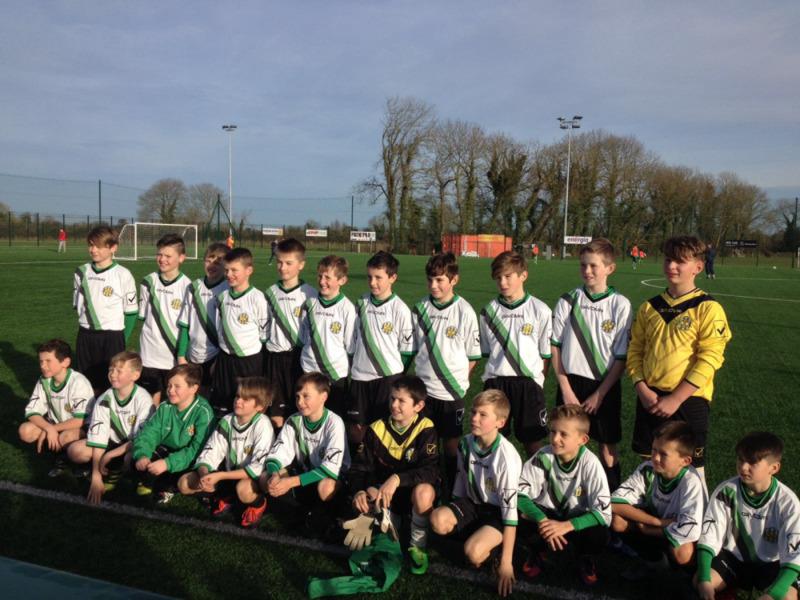 LCDUL under 12s ETP squad visited St Brendans park Tralee yesterday , for the latest round of the SFAI Subway inter league competition. On a wet damp day our boys took a few minutes to get a feel of the pitch, and had to weather an early Storm from Kerry. An excellent 1v1 save from Kevin Stanley keeping the score 0-0. After that our boys took control of the game, with Aaron Moffatt pulling the strings in midfield and the support play from our fullbacks callum Murphy and Cathal Kearns, we push Kerry back and it was only a matter of time before the goal came. The goal was scored by Jake McNamara, after some excellent pressing from Michael Ryan, he robbed the Kerry fullback and had the composure to find Jake in space to finish it off . But unfortunately 1nil never became 2, and after dominating the second half with Jake McNamara and Hugh Murane going close ,we were punished at the end when after dealing with 3 corners in a row a 4th dubious coner was awarded and it lead to a Kerry equalizer. A brilliant performance by our boys. The second game of the day saw our development squad play Kerry, an excellent open game of football was to follow, again some ropey few minutes at the start of the game but the guys saw it out and took the lead after an excellent run from josh Hartnett found David Maloney in the box ,who back heel the ball to James o Sullivan and he found the back off the net. Credit to Kerry they came back at us but a back 3 Liam Burke Tadgh Hourigan and Bailey Ryan kept them out until Kerry caught us on a break and scored an excellent equalizer. Our boys regrouped and took control again and with an excellent strike from our captain Tadhg Hourigan and another goal to add to Hugh Murnane saw us win 3-1. Again a brilliant team performance from all the boys. On the hole it was an excellent display of football from our squad of 21 , and shows that the boys work at training is coming together. Now there focus turns to clare in the next round of games. Well done boys fantastic stuff yesterday.